The basic premise of Acellus is to turn the learning process into a science. Acellus developers discover new methods for improving the educational achievement of K-12 learners with the deployment of newest technologies. Acellus, The Science of Learning, is an interactive learning system that delivers video-based instruction from some of America’s best teachers. Acellus uniquely leverages the most innovative technology to scientifically align the student’s learning experience to their individual needs. Acellus systematically reviews the science behind the learning process, studies the delivery of curriculum, discovers innovative solutions to teach more effectively, and empowers students to be college ready and career prepared. Acellus uniquely adapts to the specific learning needs of each student. The Acellus instructional approach to learning is highly effective scientific, customized instructional concentrations to fill specific holes in a student’s understanding of core curricular content stands. This creates a solid rigorous academic foundation of success and builds the student’s confidence. Students say it is easier to understand abstract concepts when they use Acellus. Teachers say that the Acellus competency-based approach to learning increases students’ productivity, because technology enables the measurement of learning rather than using the time a student spent enrolled the course of study to measure academic mastery. Acellus is touching the lives of students across the nation by helping them to master difficult subjects and gain the confidence needed to succeed in life. Acellus is used in every state in the United States and Internationally in over 42 countries. 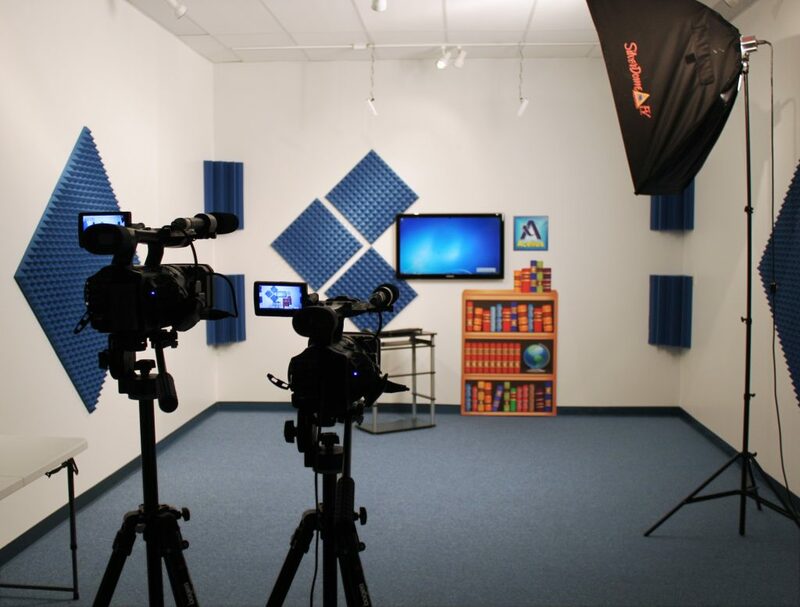 Acellus courses include nearly 48,000 educational videos filmed by the Academy with some of the Nation’s most talented teachers. Acellus uses advanced technologies to meet the educational system shift for the 21st century learner. Acellus provides a solution for students, parents, teachers, and school district leaders seeking an answer for the more mobile learner, increased curricula, and flexible schedules. Acellus provides resources to meet the differentiated individualized needs of the college prepared and career ready student. An Acellus course utilizes a rich blend of photos, artwork, and other multimedia offerings from several generous sources and are provided to students at no cost. A community of volunteers and charitable contributions support the teams of courseware development. The advancement of technology remains the main driving force for the innovation of delivery methods of Acellus curriculum. Pedagogical changes also have contributed to the advancement of Acellus curriculum. The fundamental pedagogical assumption, adopted across Acellus instruction, is in terms of emphasizing transmission of knowledge. The Acellus classroom teachers emphasize knowledge as a key to learning. Acellus teachers create instructional materials that present learning objectives at the beginning of each lesson aligned to concepts, definitions, examples, and steps to support mastery those course standards based objectives. Supplemental grant and scholarship funding complements the registration fees for students and schools. The actual cost for students and schools is a modest fee to help cover the record-keeping services and fees for licensing, developing, and delivering courseware. I want to let you know how pleased I am with Acellus program. It provides a really economical way to run a summer school program so students can recover credits failed during the previous school year. This past summer, we had 60 students out 74 who had failed one or more classes recover all of their credits through the wide range of Acellus courses available to them. The teachers that run the summer program enroll students, answer questions during the summer that students may have via the Acellus email system, and report completed courses to my guidance counselor. I can run the whole summer school program, including the cost of the Acellus course licenses, for under $3,000! I really appreciate the support of the grant funders who make the Acellus licensing so affordable for schools. The Acellus program truly helps students stay on track so they can graduate on time! Acellus has become a powerful resource for the students at Telegraph. In an era of which children come from a variety of backgrounds, experiences, and situations, Acellus gives our educators the ability to meet the individual needs of each and every student in our building. From At-Risk students to Gifted and Talented, Special Education and the regular classroom setting, we have witnessed positive growth in reading, mathematics, and science. Our students are more cognitively engaged, our behavior referrals have declined, and our students are becoming more and more confident in their academic abilities each day. This is my first year using Acellus, and have found it to be an excellent program for transfer students who need required credits for graduation. We had a student transfer into our school who needed a Fine Arts credit – through Acellus we were able to enroll him into a Fine Arts Music Appreciation course. Within a matter of months he was able to complete the entire course, gain the needed credit, and found contrary to his original belief that he enjoyed the course, and was able to gain appreciation for the different types of music presented in the course. We are grateful for the options Acellus gives our students! Using Acellus in our K-12 Special Education program has provided our school district a powerful tool to support the diverse learning needs of our students. Acellus gives schools individualized core instruction adaptable at each student's learning level while providing built-in specialized resources through differentiation, customized note taking, and progress monitoring. Our teachers use Acellus at varying levels of support ranging from full independent study courses to sheltered whole group, small group as well as targeted interventions. Acellus accompanied by specially designed support for each student is a recipe for success! Acellus has changed not only the attitude of my students toward math but their understanding and achievement as well. I had a student who simply refused to do math using our previous online math curriculum provider. She was reluctant to attempt math with Acellus due to her past difficulties. However, this student found her niche in math with the Acellus program. Her confidence and enjoyment in math are off the chart and she has completed 3 math credits in just over 1 semester. Acellus allows us to meet the needs of our special education population, talented and gifted students, those in need of credit recovery, or those who simply want a non traditional approach to their education. Acellus has proven to be dynamic as they consistently add more programs to their curriculum, thus meeting the needs of more students. We consider Acellus an important aspect of our educational program.